Today's episode is a re-airing of one of, if not the top downloaded, read and listened to episodes if including YouTube and Pinterest. More new readers learn of TSLL blog and the podcast through this episode than any other source. 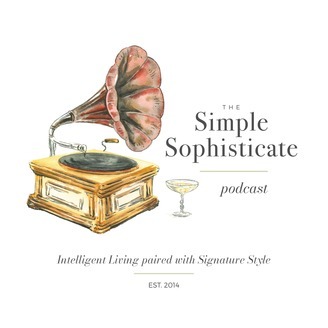 And since the next new episode of The Simple Sophisticate is scheduled to air on Monday May 20th, I wanted to bring it to readers and listeners attention. Originally airing during the first season (currently we are in season 5), epissode #32 - The French Capsule Wardrobe: the 14 Essentials, has a plethora of images paired with each essential to offer sartorial inspiration. 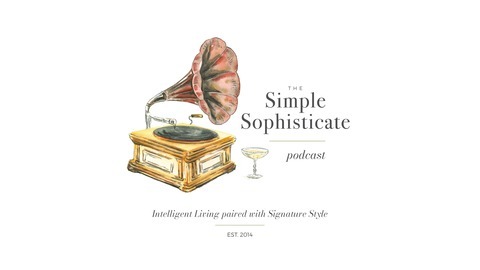 ~Love TSLL's French-Inspired podcast episodes? Check out the currently 34 French-Inspired episodes in one spot. ~TSLL's first annual British Week is coming! Mark your calendars for an entire week of posts, episodes and giveaways all inspired by the great country of Britain: Sunday May 19th through Sunday May 26th.